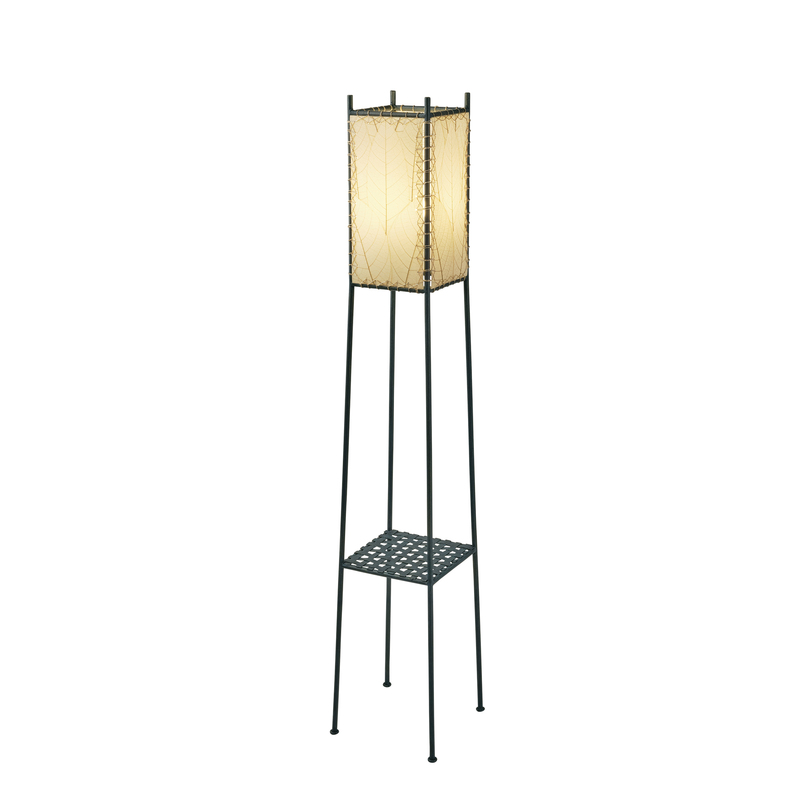 Simple shade design makes the Square Shelf Lamp an elegant way to add presence to your outdoor living space. 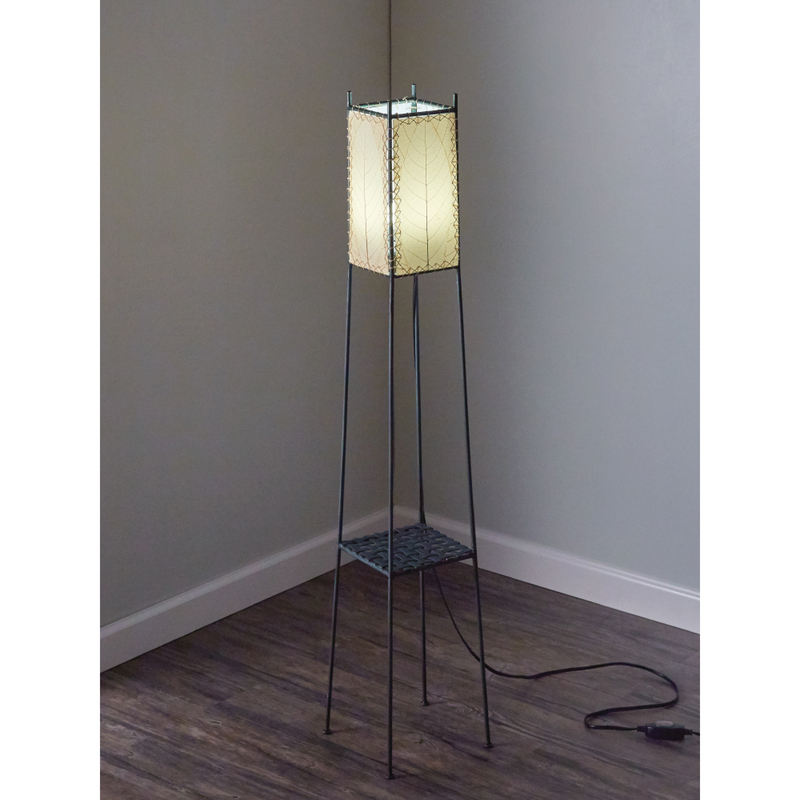 This lamp features a woven metal shelf that adds both function and support. 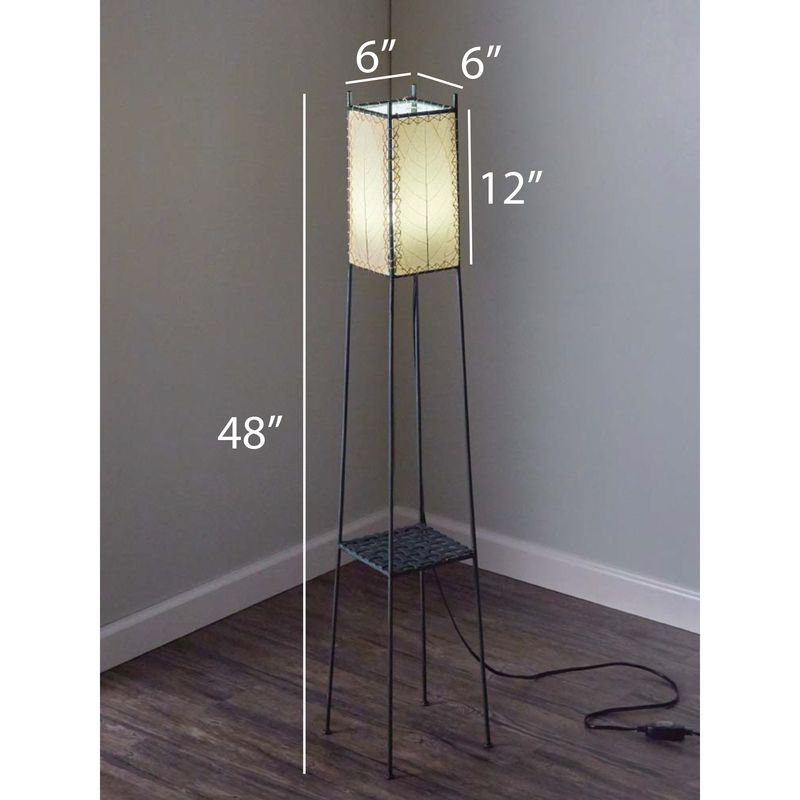 The cocoa leaf shade features a built in outdoor LED bulb.